Product #18652 | SKU RODMICON7 | 0.0 (no ratings yet) Thanks for your rating! 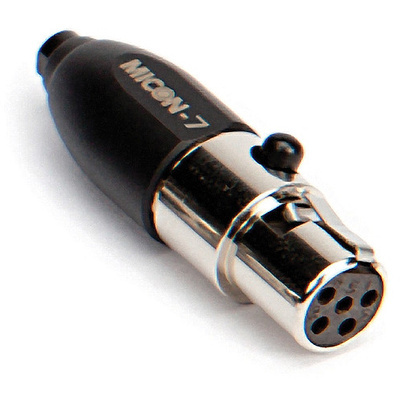 The Rode MiCon 7 Connector is intended for use with all Rode headsets and microphones that utilise MiCon connectors, such as the Rode Pinmic and lavalier microphones. The adapter is intended to connect Rode MiCon compatible microphones to Lectrosonics' wireless bodypack transmitters. The MiCon 7 features a TA5-F (mini 5-pin female) connector that is compatible with the Lectrosonics SM Series, UMa Series, LMa Series and UM450.